Sage X Condos is a New Condo development by IN8-Developments located at Hemlock Street and Hickory W, Waterloo. Located just minutes from downtown Waterloo, Wilfred Laurier University, Waterloo University and the UW Technology Park, this ideal location known as Silicon Valley North is perfect for investors. At 6 storeys with 141 luxurious suites ranging from 450 sq ft., a large bulk of suites are set to be one-bedroom units, a layout that is in high demand in this region. This project is favoured for its close proximity to Waterloo’s best in tech jobs, shopping, dining and entertainment. Sage X Condos puts you at the centre of it all. 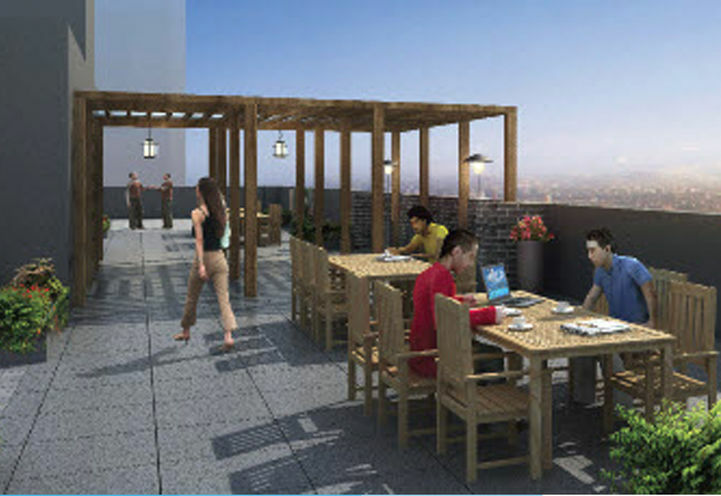 Buyers at Sage X Condos can take advantage of an executive turnkey package which is included in the purchase price. 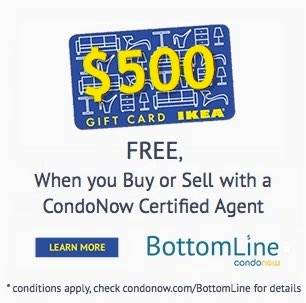 This package also includes a 2-year rent guarantee and 2-year free property management. 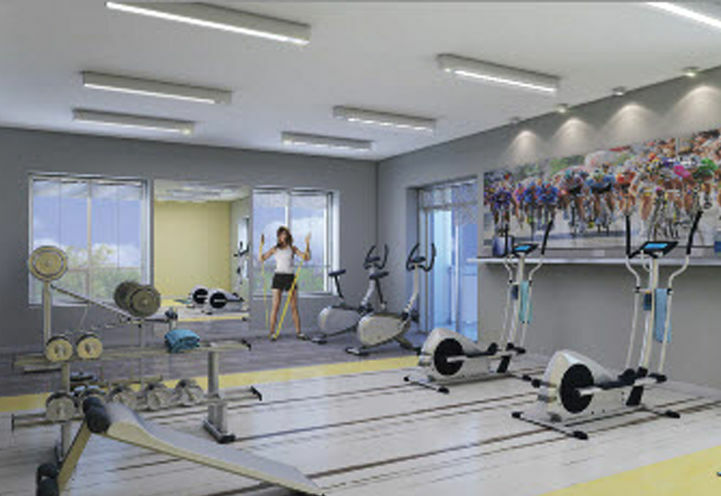 Sage X Condos is truly a hassle-free capital investment opportunity located in a high-in-demand neighbourhood. 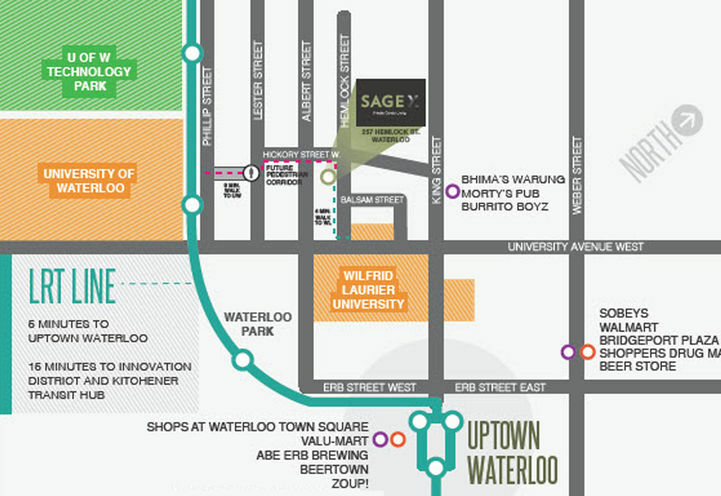 Sage X Condos is in a very walkable pocket of Waterloo which means that most errands can be accomplished by foot. Residents will have their choice of 10 bus routes that can be accessed from nearby bus stops and the future LRT line will bring an additional transit option to this booming neighbourhood. Waterloo Go Bus stop is 4 minutes away while Kitchener GO Station (Train Station) is 9 minutes away by car. Motorists driving to downtown Toronto for work or play will enjoy living in close proximity to Conestoga Parkway which connects to the 401. Given the fact that the Hemlock and Hickory St W neighbourhood is home to a number of Universities and the Innovation District, both under-serviced by the housing industry, the chance of an investor receiving a positive return is promising. Purchasing a unit in a community that is constantly growing adds a sense of security to both investors and home-buyers, not to mention- Waterloo is now ranked one of the top 10 cities to live in. 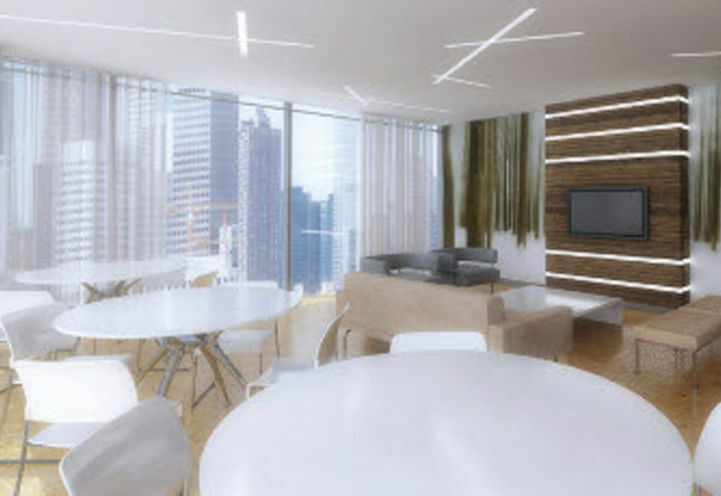 Sage X Condos proves to be a project that is perfect for many! New home-buyers in Waterloo, students looking to rent near their school, downsizers and investors especially will enjoy living at Sage X Condos. 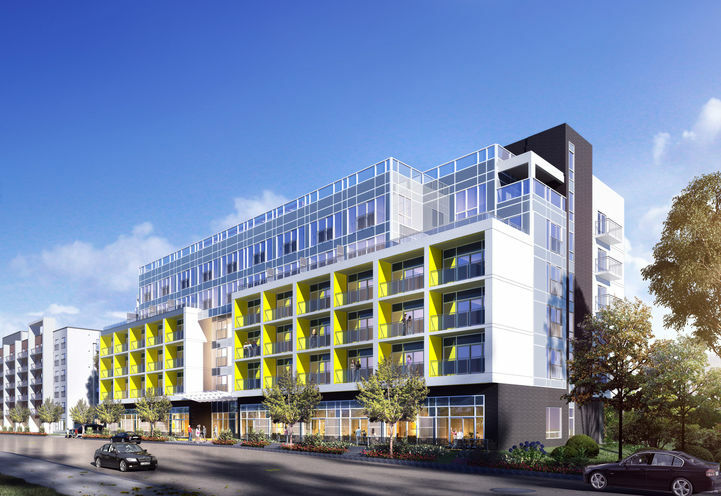 Sage X Condos is a new Waterloo Condo in the Waterloo neighbourhood by IN8 DevelopmentsP0RPO.